Business travel is a significant portion of an industry that’s not exactly insignificant: the global travel business makes up 1/10th of the entire global GDP. Three of the five top-earning travel companies in the world are managers of corporate travel; global business travel spending reached $1.33 trillion in 2017. With healthy growth patterns in corporate travel spending, big businesses are reinventing themselves, while new entrants leapfrog them with innovative products and services. We’re breaking down the emerging technologies that are optimizing some of the most prominent trends in business travel. Though mixing business trips with leisure isn’t a new concept, the trend has taken on more current forms in recent years. “Bleisure,” as it’s now referred to, can mean exploring a new destination solo, meeting communities and connecting with other travelers through technology, or coordinating group travel plans with friends or colleagues. Jack and Ferdi is an AI-powered app that makes recommendations for bleisure travelers in 60+ destinations. GigsGuide helps business travelers find ways to have fun and enjoy destinations during the weird periods of downtime that come with traveling solo for business. Playground brings together communities in the real world for meetups and other in-person events. For travelers extending trips, this is one of several apps that facilitate meeting new people in an unfamiliar destination. 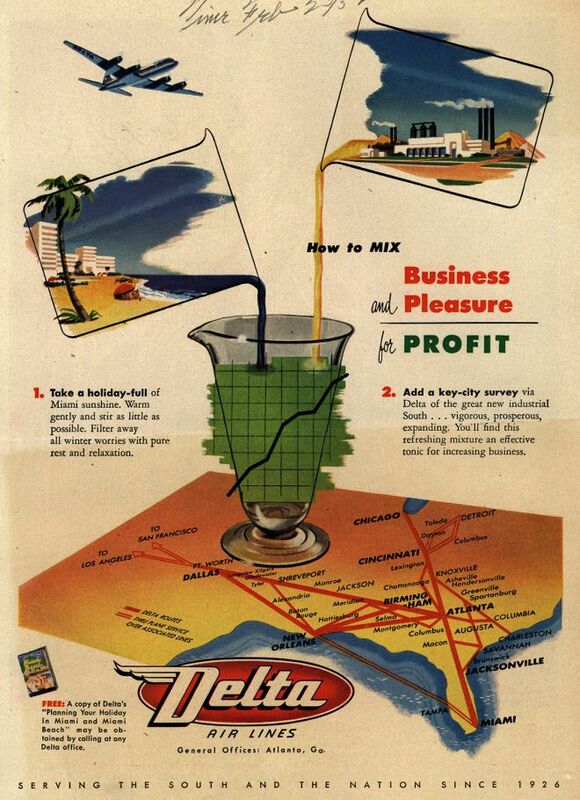 A vintage ad from Delta showing the travel industry’s long-standing marketing efforts to blend leisure and business travel. Thanks to the internet, proliferation of smartphones, and resulting shifts in the job market, it’s now much easier for workers to clock in from anywhere in the world. This has liberated a significant segment of the workforce: A Gallup survey found that 43% of employed Americans spent at least some time working remotely. RemoteYear curates small groups of digital nomads and corporate refugees, and hosts them on a set itinerary around the world. The groups enjoy camaraderie of other remote workers without having the hassle of finding accommodations and office space in each location. Outsite helps remote workers and digital nomads find a place to stay and work, combining living and co-working in well-appointed spaces worldwide. Focusmate connects remote workers via video for 50-minute accountability sessions to prevent procrastination. With an upcoming enterprise version, this method of work will soon extend to businesses. Selina fuses an upscale-yet-affordable hostel with co-working and community spaces, to craft a holistic experience that caters to the modern traveling professional. Roam brings a design sensibility to the new “hotel-meets-workspace” category. Its international network of co-living spaces welcomes digital nomads and employees to work and vacation in new ways. With the advent of online travel agencies, travelers are now accustomed to booking their own flights, accommodations and more. Business travelers can - and expect to - execute their own booking process, and companies have had to find ways to accommodate their employees’ preference for self-service while still encouraging and rewarding compliance to corporate travel policies. Successful corporate booking tools that are gaining traction today incorporate what consumers love about traditional OTA platforms - ease of use and focus on self-service - and add a layer of policy compliance to make monitoring easy for corporations. The shift to “lightly managed” business travel opened an opportunity for startups to chisel away at the booking experience, which had been somewhat frozen in time. Shep pulls in bookings made by employees on consumer travel sites, fashioning more control over expenses for companies, travel managers, and TMCs. nXus Travel uses actionable data on origin cities and meeting dates to optimize savings for companies when planning flights, destinations and accommodations for group meetings. Hotailors streamlines the planning process for business trips by integrating booking and travel management processes into one tool, which helps business travelers choose the best prices. Launchtrip serves the event and meetings market with an integrated trip management and hotel booking platform for events. From automated lead gen to managing speakers to caring for attendees, the app helps both event organizers and attendees live their best lives. Rocketrip uses rewards to incentivize employees to spend less on their travels. By sharing the cost savings with employees, companies reward smart travel choices while also increasing awareness about the impact of travel costs on the bottom line. Metaplanner turns Microsoft Outlook into a full-service travel management platform for employees to book and schedule their trips through. Who knew Outlook could be so innovative? Freebird’s mobile flight rebooking eliminates the pain of flight disruptions by automating the rebooking process. This reduces cost for companies by making it much cheaper to change flights in the event of irregular operations. TravelBank’s all-in-one business travel booking and expense management platform blends desktop and mobile to provide a cohesive channel-agnostic experience -- the new standard in corporate travel technology. Sitata’s safety platform for unmanaged business travelers relies on mobile to keep travelers safe with real-time alerts and other safety tracking features. LoungeBuddy made it simple for travelers to use their mobile phones to buy lounge passes, changing the way travelers interacted with lounges at airports worldwide. 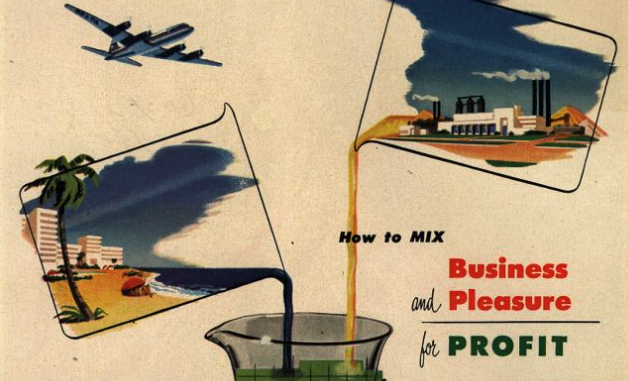 The subscription economy changed everything. Recurring revenue is now the lifeblood of many companies. Even the most staid global corporations like Microsoft transitioned from one-time license fees to a recurring model. This has transformed the way that consumers buy products, with consumers more willing than ever to subscribe to products and services they love. SkyHi: With flight subscriptions, users can take a set number of flights each month with a flat booking fee. It’s a revolutionary idea that promises to fill empty seats and help airlines better yield their revenues with a new lever to shift demand. This app may seem rogue, but is on good terms with its partner airlines. Lobby has built a curated network of vetted hotels, and then handles bookings for its members, eliminating the endless scrolling and option overwhelm that faces travelers when searching for hotels. FinalPrice is a members-only app that sells travel at discounted, private sale pricing. This passes along major savings to business travelers, especially those that may not have the benefit of negotiated rates via a company-sanctioned program. It’s a great time to be a startup in business travel. The space is rife for innovation and the corporate travel market is not as overly saturated as some in the B2C space, creating an excellent opportunity for travel startups to make an impact. To check out some of the unique trailblazers in Corporate Travel firsthand, RSVP for Corporate Travel Pitch Night with Voyager HQ on January 31st, 2019 in New York City. Join us for Corporate Travel Pitch Night in NYC on January 31!